Is taking photos an act of violence? Is curiosity, then, a form of violence, a wanting to see, know, capture – for what? Posterity? I know I will die and it won’t matter how many photos I’ve taken, and it might not matter much to the world either. At most they might be of some cultural significance, or historical value, though these days there is a sea of tomorrow’s historical records proliferating online. Is there a cost to all this? It’s well-documented that certain tribal cultures believe a photo taken of a person is the stealing of his or her soul. If this is true, we are a world of walking zombies, and from how we tend to imagine zombies, they are a violent breed indeed. I know that my intentions have never been violent. I’ve always loved looking at the world through a camera lens. When I was twelve I was shooting leaves from a bird’s eye view and making ‘abstract art.’ It was only when I started shooting people – with them unaware – and only after a long, long time of doing this, that I start thinking about the nature and consequences of my behavior. Of course, one could make an invasion of privacy case, and just as certainly, this is a form of violence, if we can define violence as an act of ill will, malice or harm toward another being. I have no excuse: I couldn’t keep myself from taking these photos, which I genuinely found arresting and beautiful, because that’s what people are to me: arresting and beautiful, without exception. All the secrets of the universe, which are also without fail mysteriously beautiful to me, lie in the bodies and souls of the world’s creatures. As above, so below. Of this I am sure. But this inability to put others’ possible preferences – to not be photographed, or give their consent – ahead of my own amounts to selfishness, at the very least, and at the most, violence. When I was travelling in India, my karma came back to me rapidly, and frequently. Just when I was starting to be more conscientious about whom and what I was photographing, I found myself in the hot seat, being photographed constantly. Babies were plopped unceremoniously – yet with flourish – onto my lap. Children were forced into my arms, whether they wanted to be or not. Men pushed themselves into me and flung their arms around me for the sake of a ‘snap’ or five, usually taken with cell phone cameras, and apparently I was consenting because I didn’t (normally) run away. It was at turns amusing, surprising, aggressive, bemusing, annoying and comical. Sometimes it happened a few times a day, and I grew used to it. But once, when my husband and I were arguing, not far from a bustling bridge in Rishikesh, a man came up and, uncharacteristically, didn’t ask for a photo. He just came up to me, pointed his large camera in my face, and started shooting. I said, “Not now, please, it’s really not a good time,” trying to be polite despite my mood. He completely ignored me – though I was the object of his photo! – and kept taking pictures. This felt like a violent intrusion into my life, and it struck me immediately how I have very possibly done this to others. I haven’t been as aggressive, maybe, but haven’t I sneaked photos even after someone in the distance may have shooed cameras away? Haven’t I instinctively felt I should be shooting, but did it anyway? Love and respect for our fellow Earth-citizens isn’t just a theoretical game. 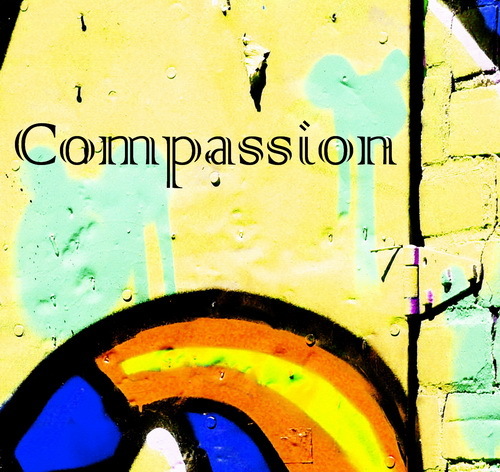 Compassion is not a hobby, and it’s up to us to figure out the boundaries of what is art, what is creativity, what is sharing, and what is respect for the sanctity of others.